There appears to be a near plethora of games which are about, utilize, and embody food—a surprising amount, actually. The types of food-related games vary in scope and type, with their own unique features and forms of gameplay. These games achieve some level of awareness in thinking about food, either as forms of entertainment or something greater, such as their place in the food system or as cultural markers in cuisine. While my own research in this course will go beyond simply discussing games (ideally whatever I research will be implemented in a game format for dissemination), many of these games below will provide food for thought in how to present research and information in a relatively innovative way. The first games I will describe are more traditional video games, whose main purpose is for entertainment. Their use of food does have interesting implications, but any ulterior message about food systems or sustainability is missing. Then, there are games about health—essentially apps which allow players to monitor their eating habits and become a healthier self. There are games which seek to inform about potential ways to think about food with real-world implications, and there are other awareness-raising games which seek to discuss issues involving food by conveying their message in a game-like format. Such structures as discussed in this post can be utilized by historians and other academics to discuss their research and present it to the public in a more accessible, bite-sized format. In many games, food acts as a mechanism to progress gameplay or tally points, establishing a structure centered around eating. 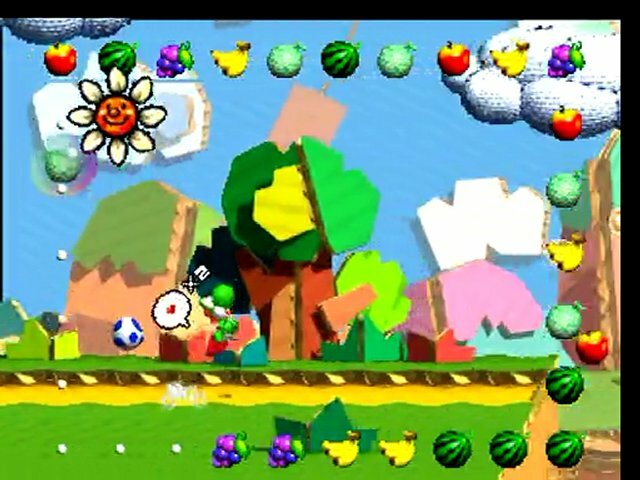 In Yoshi’s Story (1997), players progress through a storybook-like world, eating fruit which directly contribute to your (the Yoshi’s) happiness, which equates to power in the game. The only way to complete a level, further, is to eat enough fruit, which enables the Yoshi to achieve maximum happiness—a ridiculous concept, it seems, but interesting when reflected on the real-world emphasis and perception of food. As in Yoshi’s Story, eating good food is linked to happiness and, ultimately, power in the nourishment it provides (ever seen a McDonald’s Happy Meal commercial or a Gatorade commercial?). It is central to life, and this game reflects that. The most recent and possible most ridiculous game about food allows you actually play a sentient piece of bread. In I Am Bread (2014), the player (as bread) must reach a toaster on the other side of a virtual room and become toast. As you traverse through the level, however, you pick up matter, from butter (which improves your score) to glass (which does not). The game is supposed to be comedic, and does not have much depth, but it has achieved surprising popularity since its first release. Through the game’s inherent silliness, a structure is introduced that could easily be implemented by academics, from illustrating issues of germs to showing the trajectory of one piece of food across the country as it travels in a larger food network to become nourishment, a concept that is mirrored in discussions about food and its increasingly extended cross-country food system as opposed to smaller local networks as featured in Carolyn Steel’s TED talk. Games about health and food, especially about improving status of health, are the most notable for people who use smart phones and similar devices. These range from simple diet-keeping apps which count calories to ones which provide healthy living habits and health food information. Such apps can turn this system of health monitoring into a game, such as SuperBetter (2012), which essentially turns the player into a video game character who achieves experience points for every benchmark or achievement they make, ultimately allowing them to “level up,” both in the game as a character and in real life with their health. Similar concepts of making yourself better through healthful living and eating are seen throughout apps such as this one, illustrating a greater awareness and pressure to eating healthy. 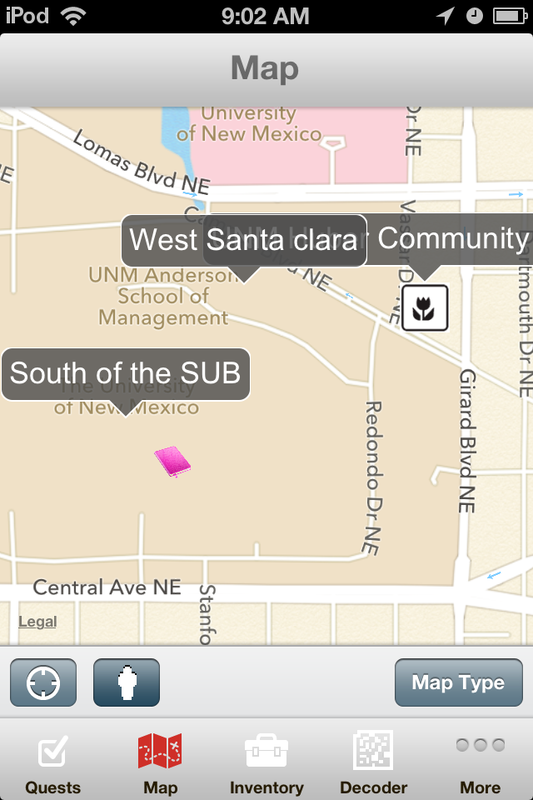 In the ARIS game, Garden Hunter, players are actually asked to help identify locations around the University of New Mexico campus which could serve (or currently serve) as good locations for community gardens. Your ultimate goal is to visit already established gardens and make note of potential spaces for others. It also encourages players to look for edible plants on campus, drawing attention to the local food systems students already have access to. The game mechanics are centered around the use of GPS and tracks player position in real-time. Unfortunately, the game itself is not currently working under the ARIS app (it is only available on an older version), but implementation can be applied to a similar structure, potentially highlighting spaces that used to exist as community gardens as well as ones that could in the future. The final group of games are ones which seek to raise awareness of food-specific issues, such as with obesity and food importation. 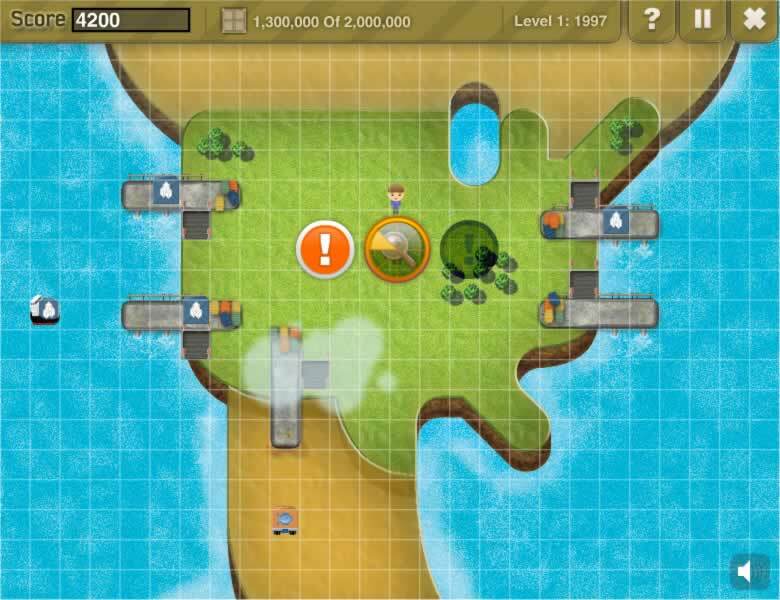 In Fatworld (2008), the game seeks to raise awareness of obesity. According to the creators, “Fatworld is a videogame about the politics of nutrition… [it is not about telling] people what to eat or how to exercise, but [how] to demonstrate the complex, interwoven relationships between nutrition and factors like budgets, the physical world, subsidies, and regulations.”¹ Within the game, the player chooses initial weight and health conditions (including predispositions to health issues like diabetes). After that, you can dictate your player’s eating and exercise habits and adjust them while dealing with constraints of nutrition and economics. The ultimate goal is to live as long as you can, while the game itself encourages players to think about food and its relation to socioeconomic status. Food Import Folly (2007) is a game problematizes the idea of international food systems and is possibly the most pertinent to our course. In the game, you work with the FDA to inspect an increasing number of food imports, but as the game progresses in difficulty, your ability to monitor contaminants decreases in the growing international food market. Such in-game feature mirrors real life effects of increasing food importation in America, and encourages players to think about where their food comes from. As discussed in class, food systems and circulation are becoming more widespread and this game calls into question of what happens when certain food is contaminated or what would happen if one thread of this network were to be cut off. There are many more games which discuss and utilize food (we have not even begun to talk about Farmville) in interesting and notable ways. The list above is only a short sample of such games and merely suggests the potential video games and other similar platforms have to convey information and raise awareness. For this course, I intend to implement these ideas in my own game design, which will present my research and attempt to fulfill the potential needs of our clients. My continued research in this course will focus on local medicinal uses of food (most likely centering on one particular herb) and community-building based on these home remedies, ranging from curandero traditional herbal remedies as described in such texts as Eliseo Torres’s Green Medicine to home remedies discussed by E. Leroy Hatch in “Home Remedies Mexican Style” and beyond. Can such research elements be incorporated into a game-like format? What information will it convey as it relates to my research? Such questions will develop as I delve more into my and collect more information on specific New Mexican herbal remedies and other cures. 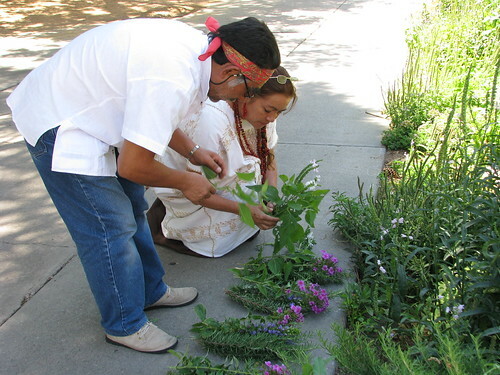 As illustrated in Garden Hunters, we do have edible plants on campus, which are actually used in the Curanderismo course at UNM, so that may be a good place to start. Photo from the photo gallery of the Curanderismo course in 2010. Games are serious business! If you develop a game that shows New Mexicans how what they’ve grown and ate can help them live happily and healthily after ever, can you get rich? Save the world, or a little piece of it? Maybe! I’m actually going to be experimenting with a game which fulfills multiple purposes such as this and essentially features “levels” which might appeal to different clients/audiences. Excellent! When you’re in the design phase, we will put you in touch with someone with lots of experience in the industry. I love this concept! You go girl!